Uwaga: Przed złożeniem zamówienia prosimy o kontakt w celu weryfikacji dostępności książki w danej wersji językowej. Kontakt: as@asmedia.com.pl tel. 032 355 06 20. „Jestem przeświadczony, że każdy technik dentystyczny lub protetyk znajdzie na tych stronach metody i praktyczne sugestie, które nie są „aptekarskimi recepturami“, ale raczej wskazówkami do przemyślanych działań i adaptacji, bez względu na markę używanych przez Państwa materiałów. Odnajdziecie tu nie tylko triki i wskazówki, ale również wyjaśnienie mojej filozofii doboru koloru: barwy, nasycenia i jasności, oraz sugestie jak odtworzyć w wykonywanych przez Państwa uzupełnieniach obszary absorbujące i odbijające światło”. „Obecna książka przedstawia szczegółowo 72 pożyteczne techniki stosowane przy pracy z uzupełnieniami ceramicznymi i ułatwiające zadania stawiane przed technikami dentystycznymi. Te życiowe metody są bardzo trafne i oszczędzają czas - pomagają w doborze koloru, modelowaniu ceramiki, opracowaniu kształtu i w rekonstrukcji mikrostruktur. Żadna inna książka żadnego innego autora nie przekazuje w tak konkretny sposób ogromnej wiedzy i bogactwa doświadczeń praktycznych. Największa wartość tej książki tkwi w sposobie, w jakim autor jasno i otwarcie dzieli się z nami wszystkimi „trikami i wskazówkami“, nabytymi przez lata pracy i doświadczeń. Moje płynące z głębi serca gratulacje dla autora tej książki, która z pewnością przyczyni się do przyszłych osiągnięć w stomatologii estetycznej”. Over the years, every time I hold courses or give lectures at conferences, there is always one question that is asked time and again: “When will your next book be published?” Today, finally, I have found the time and inspiration to write this third book, to meet the needs of all who so passionately engage in our profession. 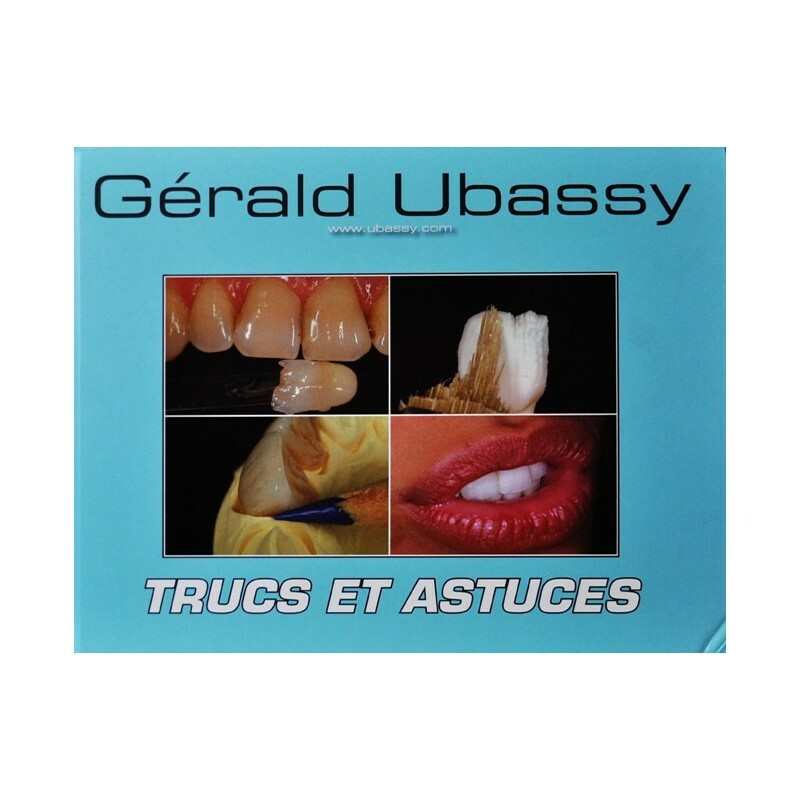 I did not want to write a book merely on ceramic layering, but rather a simple and useful practical text for all dental professionals. 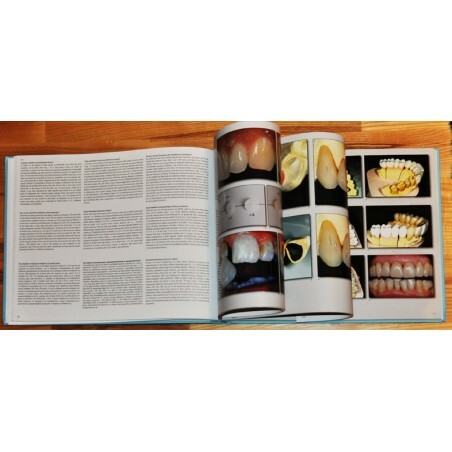 I am confident that any dental technician or prosthodontist will find in these pages methods and practical suggestions that are not offered as trademark techniques, but rather as a guide to rational actions and adaptations, whatever materials one may be using. You will find here not just tricks and hints, but an explanation of my philosophy for colour control: hue, saturation, luminosity, as well as indications on how to create light absorption and reflection in your restorations. I have collected in this book 72 techniques and tricks that we use in our laboratory in order to enhance the effectiveness of our everyday work. My aim is always to be as productive as possible, while maintaining the highest quality standards. The need to work as rapidly as possible forces us to rationalize our work process. Some of the tricks illustrated here - such as our use of the two-coloured pencil - are as simple as can be, but remarkably effective. I have seen proof of this innumerable times, in all the courses I have given over the past fifteen years. It is thanks to the practical presentations during those courses that I have been able to demonstrate the success of these techniques. Over the years I have validated my knowledge, developed my techniques, rationalized my methods. Furthermore, I would like to add that all those who participated in my numerous training courses have contributed to consolidating the knowledge and the techniques. My gratitude goes out to all, for they have inspired me with their enthusiasm and their work, encouraging me to continue in my efforts to communicate and further develop my ideas and my techniques. 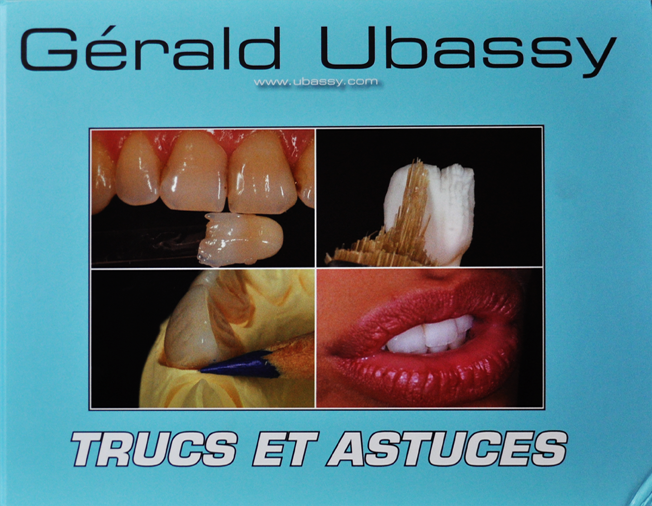 Although the majority of the techniques I illustrate in this book are certainly my own work, in many cases their development was inspired by comments and questions raised by those attending my instruction courses. 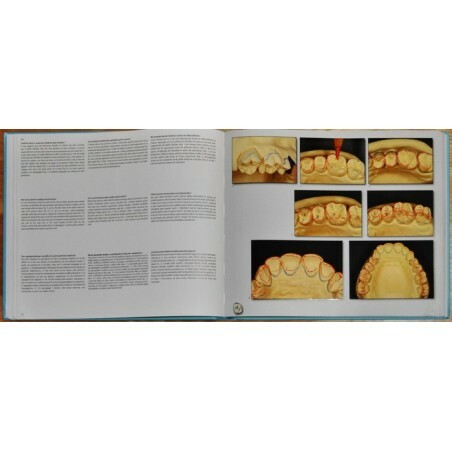 To make it easier to follow the tricks and suggestions contained in this book, I have indicated the level of difficulty: one, two, three or four teeth, suggesting the degree of expertise required to apply a particular solution. The texts are purposely short: I really wanted this book to be simple to use. The photographs and diagrams accompanying the texts are intended to make it easy for all to understand and appreciate the logic behind each one of these “Tricks and hints”. Effektivitätssteigerung ist ein Schlagwort, an dem auch in der Dentalbranche niemand vorbeikommt. 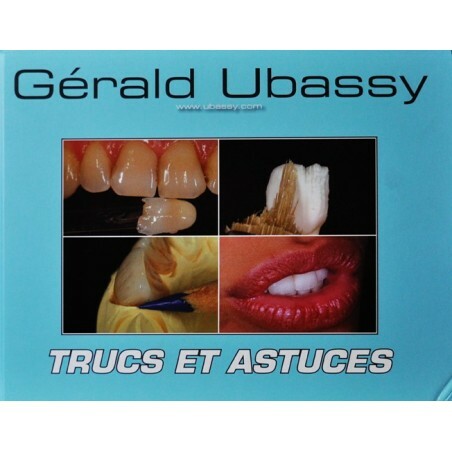 Aus diesem Grund hat der prämierte Dentalkeramiker Gérald Ubassy Tipps und Tricks aus seinem Arbeitsalltag gesammelt und zusammengestellt. Zahntechniker und Zahnärzte finden hier Methoden, Ideen und Techniken, die – ohne Bezug auf bestimmte Produkte oder Marken – auf alle Materialien anwendbar sind. Dabei scheint durchweg die gesamte Philosophie Ubassys durch, sei es in Bezug auf die Überprüfung der Farbe, des Farbtons, der Farbsättigung, der Helligkeit und der Transluzenz, sei es bezüglich der Verfahren, mit denen die natürliche Lichtaufnahme und Reflexion der prothetischen Werkstücke erreicht werden. Insgesamt 72 clevere Methoden sind in diesem Werk versammelt – alle in der praktischen Arbeit in Ubassys Labor angewendet, um im Alltag die Effektivität zu optimieren. Ubassy und sein Team brachten die Grenzen, die der Arbeit im Labor gesetzt sind, dazu, ihre Produktionsphasen zu rationalisieren. Einige der Tipps und Trick sind dabei sehr einfach, aber unzweifelhaft effektiv, wie z.B. den 2-tone color pencil zu verwenden. Während der mehr als 15 Jahre, in denen Ubassy Kurse leitete, konnte er verfolgen, mit welchem Erfolg sich das Know-How, das er eingeführt hatte, bewährte. Zugleich sammelte er dabei ständig Informationen, um die Methoden auszufeilen und die Logik hinter seiner Arbeit zu rationalisieren. Aus diesem Grund sind viele der Tipps und Tricks sehr persönlich, stammen von Ubassy selbst oder wurden von Kursteilnehmern angestoßen. Für einen leichteren Zugang zu den Tipps und Tricks sorgt eine Bewertungsskala: Ein bis vier Zahnsymbole zeigen an, welcher Schwierigkeitsgrad bei der Verwendung der vorliegenden Methode zu erwarten ist. Die bewusste Knappheit der Texte sowie zahlreiche Diagramme und Fotos sorgen dafür, dass das Buch einfach in der Handhabung ist und die Tipps und Tricks umgehend angewendet werden können.